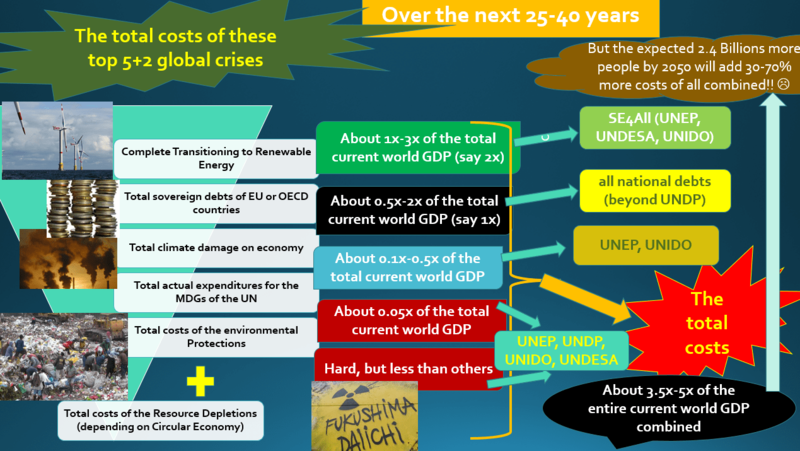 How for the USL1-5UE-URF1 truo to end the top 5 global crises within 15-25 years look like? 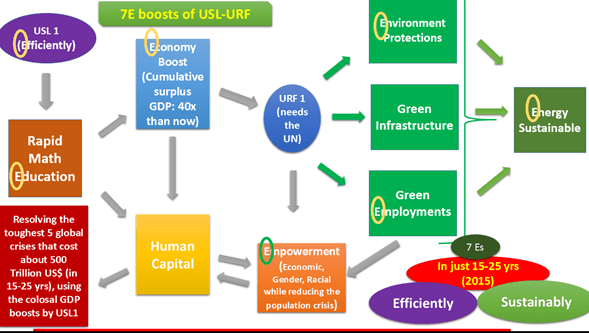 For the PDF version, you can download it from USL-U (PDF). NOTE: s0me images may be unclear. So I recommend you to download this PDF to see everything clearly. Here are the visual clues. 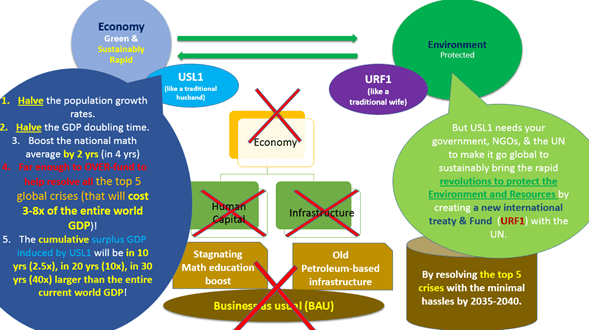 USL 1 is for the Economy & URF1 is for the environment to resolve all the major crises rapidly. Too much for even the richest national economies combined. 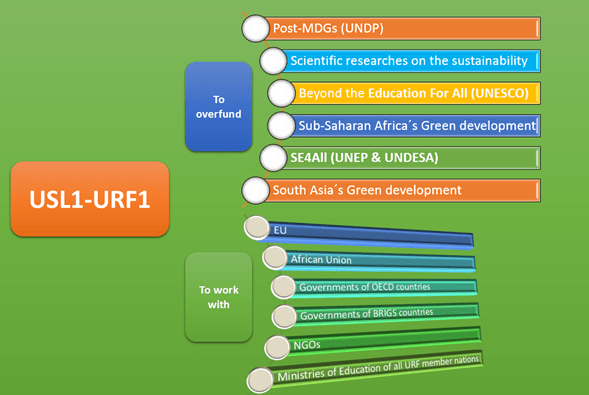 So are what USL1 and URF1 trying to do exactly? 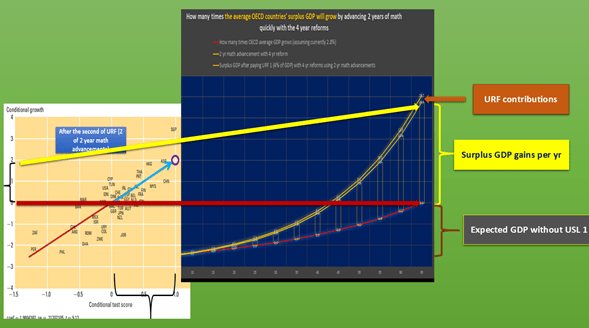 This is because the growth rate boosts a CAGR (Compound Annual Growth Rate) will translate to the exponential growths as you can see in the diagram: 2% sounds not much, but for most of the countries on earth, this means roughly halving the GDP doubling time. 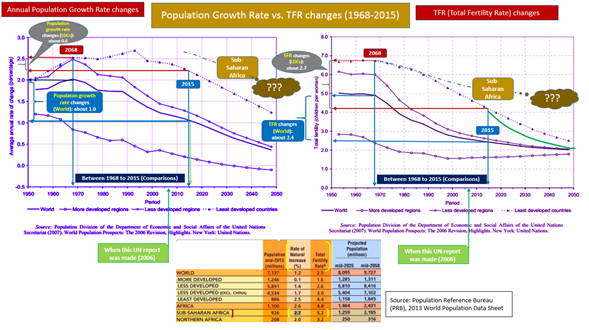 For instance, for the current average world GDP growth rate is about 3.5% annually. 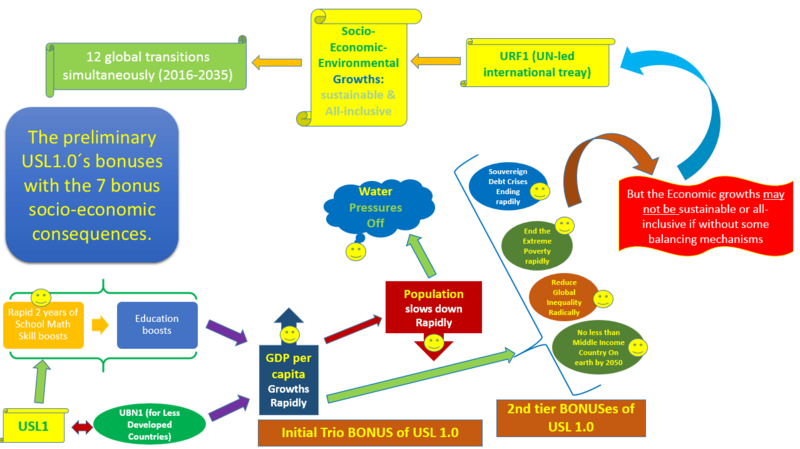 With this, the world needs 20 years to double the economic size, but after USL1, this becomes a half, about 10 years only. 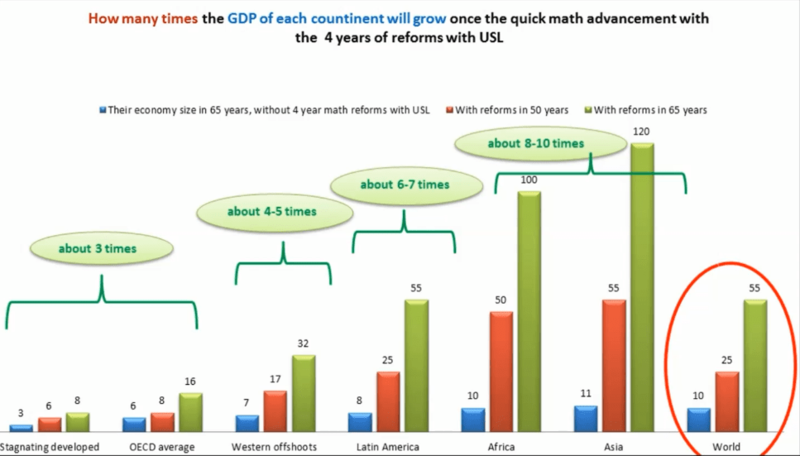 For instance, in 4 decades, the world without USL1 will grow about 4x, but after USL1 reforms, it will grow about 2x2x2x2 = about 16 times! 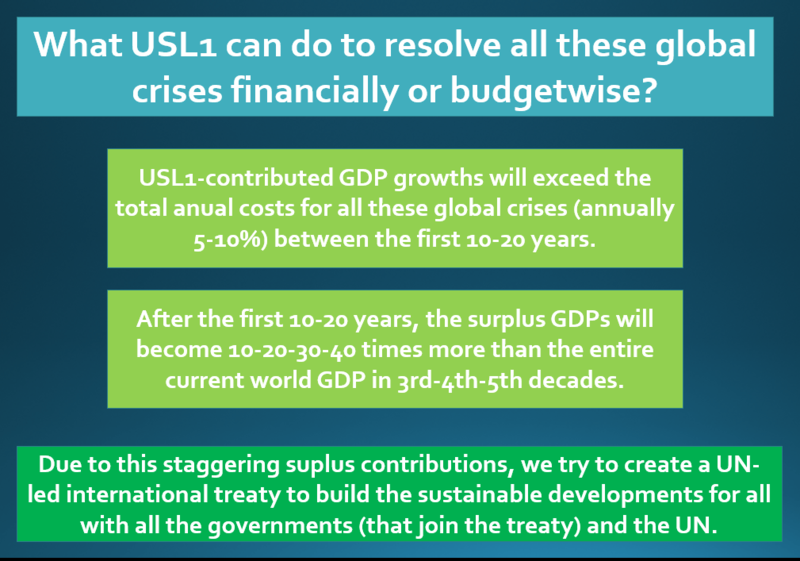 You may like to see the USL1-induced SURPLUS ANNUAL GDP growths projected over the next half a century if the USL1 goes global. 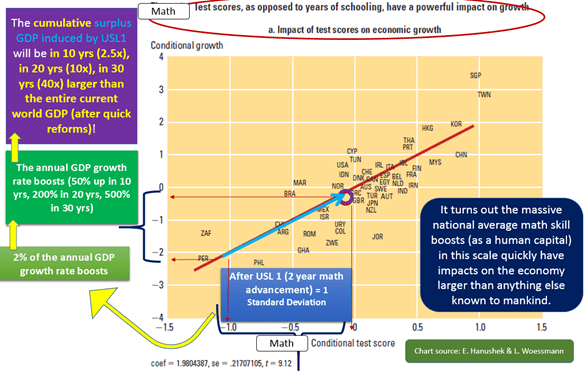 How will the OECD countries be impacted if they embrace the USL1-URF1? 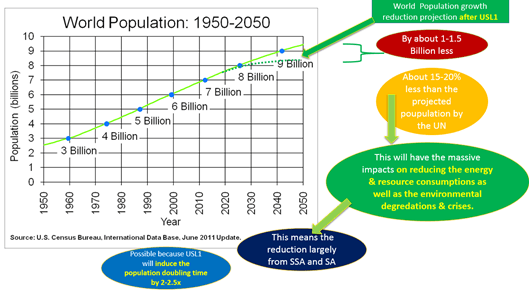 Although these are rough estimates, how will be the governments intrigued? 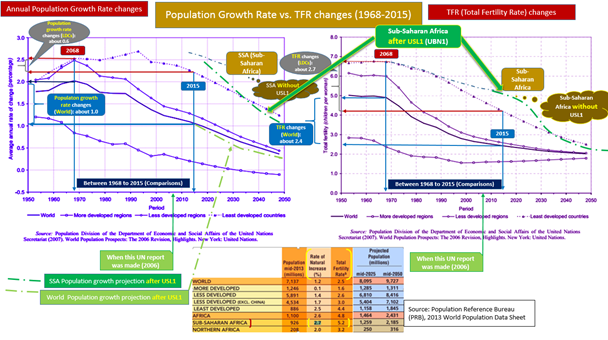 Note: the rough trajectory for the Sub-Saharan Africa (SSA) on top of the Least Developed Countries vs. roughly estimated Green colored trajectories of the USL1-induced SSA population growth rate and TFR as well as the World Population rate with a dip. 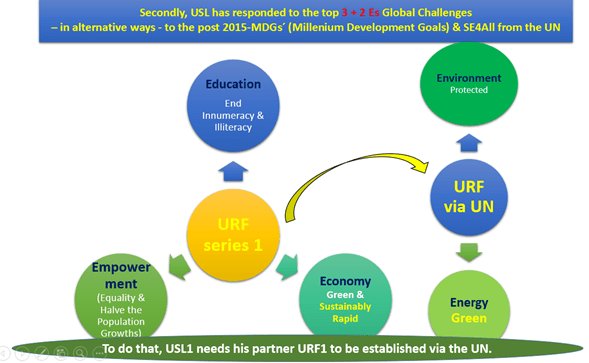 So, the bold ideas need the supporter, the big hand of the UN! So we need your supports! 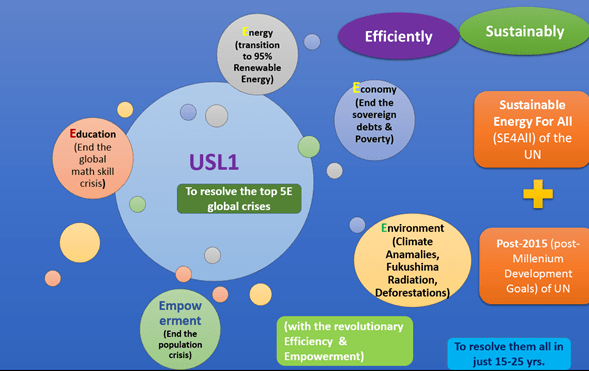 One of the roles that USL1 is to transform to the Renewable Energy with much less hassles because the key impediments behind the RE has been its costs, 1-3x larger than the entire current world GDP. If you have the surplus cumulative GDPs, 1x à 2xà 10x (about half a Quadrillion US$) in just a few decades, then we can do pretty much everything we like. 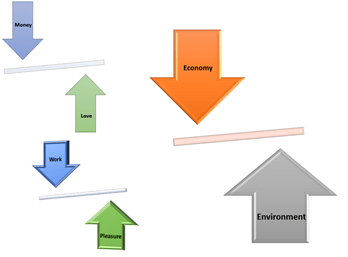 One of the 5Es is the Empowerment/Equality. 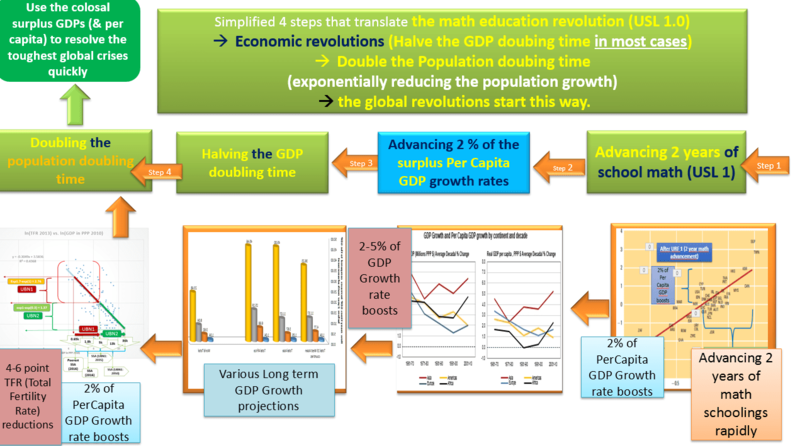 We will make this happen by simply playing with the fundamental principle of E-Con-Omics, the very mathematical nature of the compound growth rates. 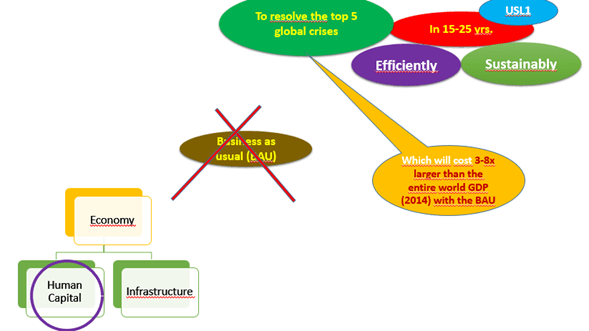 Before we conclude, we need a recapture as to how this will work. 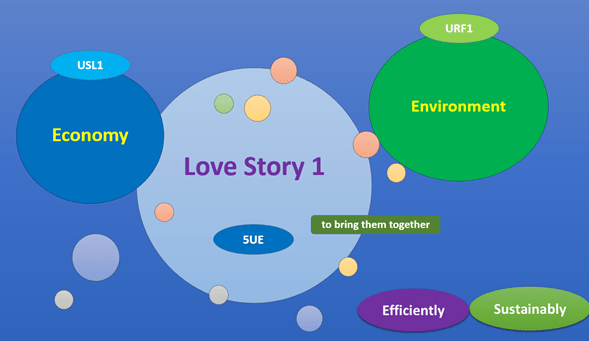 And who will benefit much from the USL1 initiatives? So, before this go global, what is our baby step? The first thing we got to do and we need your support as early as possible?